In this lesson, we will learn how to compare numbers up to 1000 using the symbols for greater than, less than and equal to. 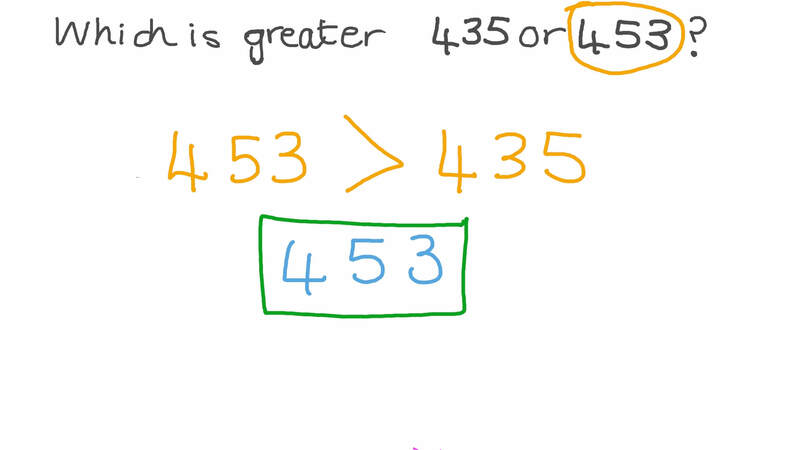 Which is greater 435 or 453? Is 700 , or 50 tens? Pick the symbol to compare the numbers. Five ones and seven hundreds is greater than 750. Two hundred thirty-eight > 2 0 0 + 8 0 + 3 . 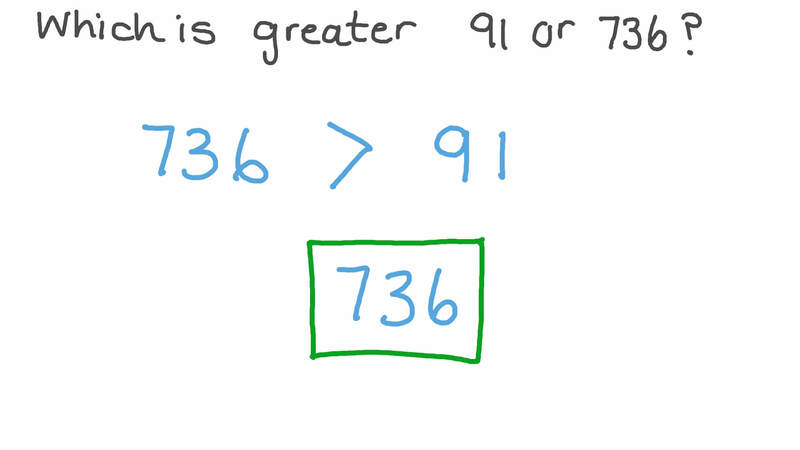 Which is greater 91 or 736? Is six hundred sixty-nine < , = or > eight hundred eight? Adel wrote the number 274, while Nabil wrote 374. Which inequality statement does not show this? What did Nabil change to make his number different from Adel’s? Yasmine and Sameh were having a skipping competition. Yasmine skipped rope 115 times without stopping, while Sameh skipped rope 105 times without stopping. Who completed a greater number of skips without stopping? Which inequality statement correctly shows that Sameh completed the lower number of skips? Is 2 0 0 + 7 0 < , = > 2 0 0 + 7 6 o r ?